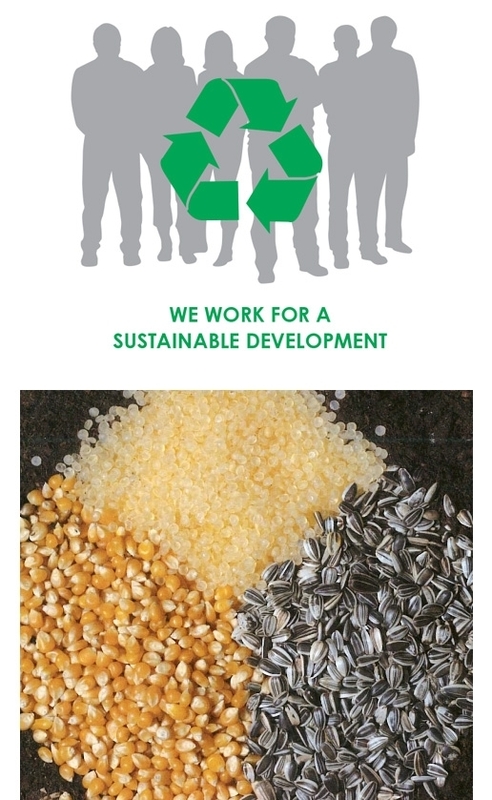 ICMA develops extrusion technology able to grant a SUSTAINABLE DEVELOPMENT, the use of Renewal &/or Recyclable Resources (e.g. natural fibers &/or plastic waste) and the Reduction of Energy consumption. » The use of low cost materials coming from production scraps of natural products and other (e.g. plastic waste) to obtain finished items having innovative features. » Feeding of single components into the corotating extruder to obtain a homogeneous blend ready to be directly extruded into semi-finished items. Direct extrusion allows remarkable energy saving. More recently ICMA has developed a new technology called ECOIMPATTO, to obtain from mixed post-consumer plastics, nice decking with superb mechanical and aesthetic qualities. The Patent portfolio history, enjoyed by ICMA and explained below, is a further proof of this commitment. In the '70 the cooperation with Solvay led to the patent for the production of wood filled PP flat sheets (Woodstock) mainly used with great success in the automotive industry (Fiat – Ford – Nissan – Volkswagen). Such method has been further improved and technologically adapted to the new generation of co-rotating extruders allowing the use of raw materials easily available on the market. As further development of the above-mentioned application, ICMA has set and patented a system for the production of composite materials (Naturecore) consisting of a multi-layer sheet (polymer with natural fillers and external mineral filled coating). This application has been developed for the agro industrial sector with the production of disposable crates, fully recyclable.